Are you planning to take an aquarium adventure soon? Or perhaps you really want to visit an aquarium but don't have one nearby to you or the funds to visit one? 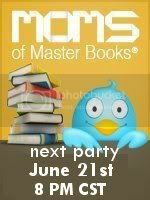 Then you need to purchase this book or try to win one at the upcoming Moms of Master Books twitter party. Just like the The Complete Zoo Adventure book that I reviewed last year this book is AMAZING and filled with tons of wonderful information. It is literally a field trip in a book. 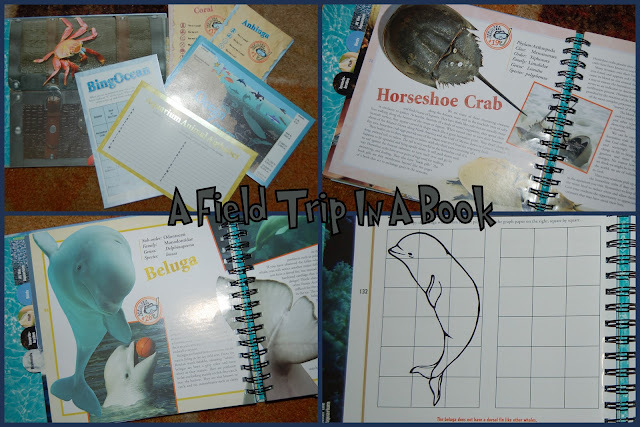 Unfortunately we were not able to actually visit the aquarium to fully utilize our book but we did visit several weeks ago so as I was reading to the kids I referenced our recent trip to the GA Aquarium. And honestly you don't need to visit an aquarium or zoo to utilize The Complete Aquarium Adventure or The Complete Zoo Adventure books. These books cover tons of information and amazing facts. They are both great resources to use along side your science studies. Like did you know that the blood of the horseshoe crab is being used to study treatments for leukemia and other types of cancers, as well as detecting deficiencies of vitamin B12 in humans? How cool is that! 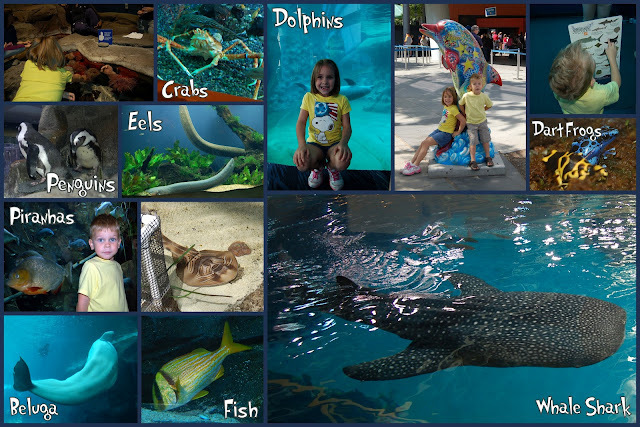 Here are some pictures from our previous trip to the Aquarium. This hardcover spiral book is written by Merilee and Bill Clifton. Inside there are several tabbed sections: Before the Aquarium, At the Aquarium and After the Aquarium. Before the Aquarium: This section contains a how to guide, devotions, scripture memory texts and field trip preparations. There are 7 devotionals regarding creation. These devotionals are very well written and even young ones will comprehend what you are reading to them. I also enjoyed how the devotions opened up discussions between parents and their kids. At the Aquarium: This section of the book contains some great facts about 31 animals including Birds, Fish, Invertebrates, Mammals and Reptiles. Our favorite section was the Mammals. We especially liked learning about the Beluga Whales since we had been following the Beluga Whale Maris at the GA Aquarium. When we last saw her in April she was expecting and we got to see her very pregnant belly. At the end of May she gave birth but sadly the baby only survived a few days. In The Complete Aquarium Adventure book we learned why Belugas are white and why they have no dorsal fin. After the Aquarium: This section contains some wonderful activities like matching, word finds, connect the dots, puzzles, projects and more. 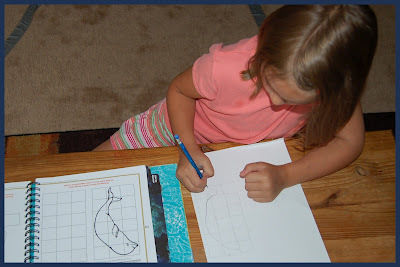 Gwyn really enjoyed this part and had lots of fun learning to draw a beluga whale. Throughout the book there is an adorable little puffer fish cartoon that shares puffed up ideas about what is simply science fiction. My kids really enjoyed trying to spot this little blue guy throughout the book. At the back of the book there is a special treasure chest loaded with lots of goodies. There are 3 BingOcean Cards, 7 Ocean Zone Cards, 3 Aquarium Alphabet Cards and 31 Animal Fact Cards. The Animal Fact Cards were a huge hit. I like the whole book. I really liked to learn to draw a Beluga and I like learning the facts. The pictures in the book are really good. There are lots of flash cards to look at in the treasure chest. The third book in the popular Complete Adventure Series is a delightfully wet and wild look at the nearly 60 aquariums in the U.S. and 94 aquariums in 30 countries worldwide! Designed for on-the-go learning, the convenient activity kit can be removed to take with you to the aquarium, your local lake or the beach. Includes devotionals and other materials to help in preparing to your visit to the aquarium, as well as activities and helpful tips during your trip to make it safe, enjoyable and educational. When you've returned home, there are other activities like BingOcean to enhance learning reinforcement. **Would you like to win a copy of The Complete Aquarium Adventure? Then join us for the next Teach The Truth Twitter Party. Rules: You can win these by responding to the discussion which will be 30 minutes + (retweets do not qualify). If you don't win at the party you can buy the book either directly from New Leaf publishing for $18.99 or on Amazon for $16.24 - $18.99. You can actually get all three Complete Adventure books on Amazon for $43.45. *Disclaimer - I received a review copy of The Complete Aquarium Adventure. I was not compensated for my review and all opinions are our own! Many of the links found on my side bars and in my blog posts are affiliate links. As a result, I might get paid money and I will most likely spend the money on homeschool supplies. GREAT Reve - looks like you had a GREAT time there and working through these fabulous books!